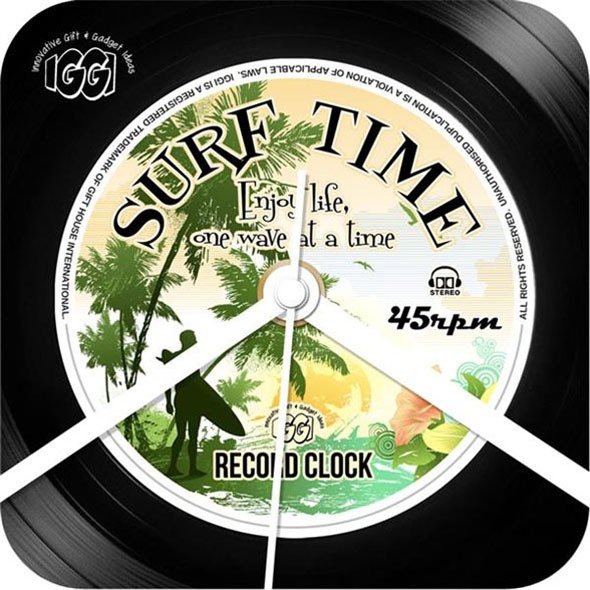 Whether you're mad for music or smitten with surfing, you're sure to love this awesome record clock! 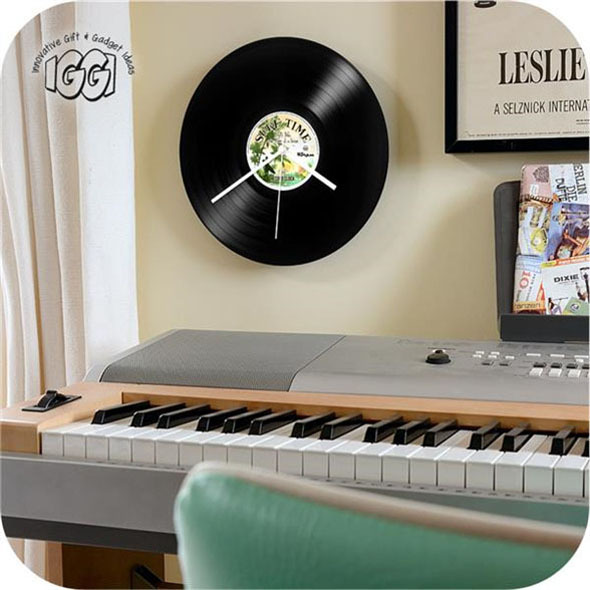 It's designed to look just like an old vinyl record, so it will look perfect alongside your treasured record collection. 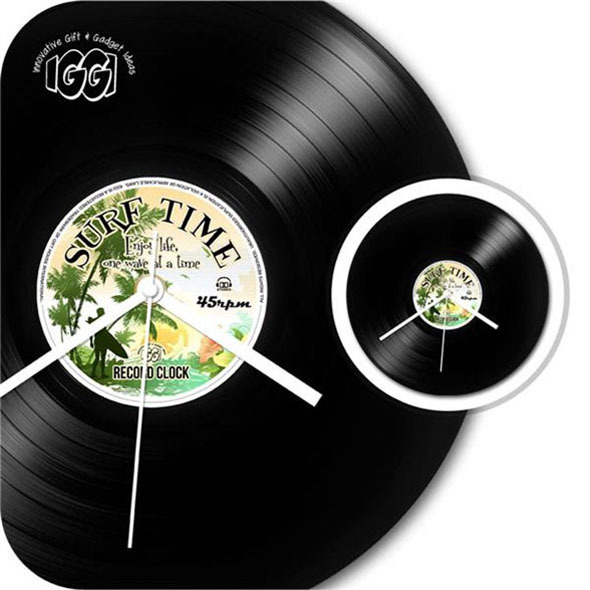 12 inch diameter - just like a real LP! 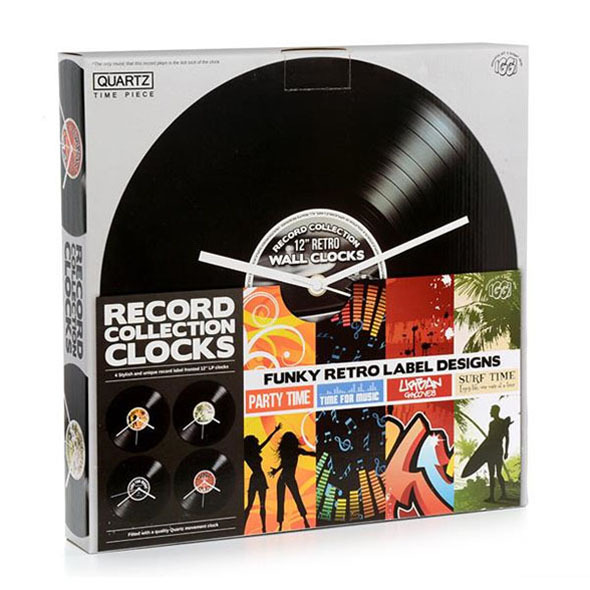 This retro record clock will make a fine addition to almost any room. 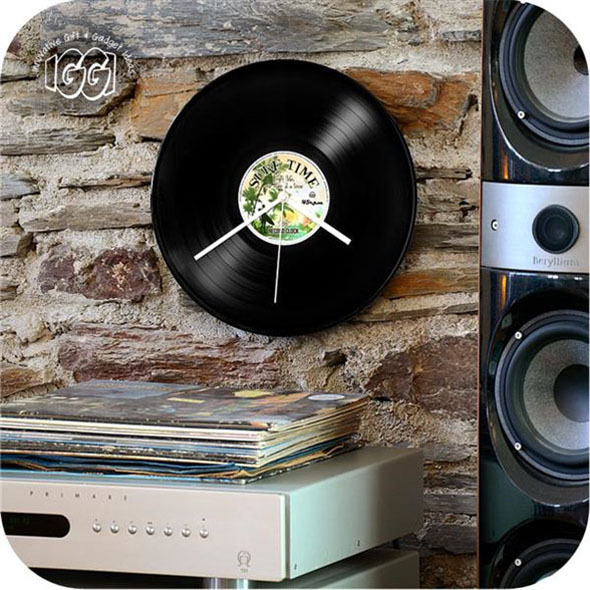 The old-fashioned look is great for vintage-themed interiors, but the cool black design will look fantastic in more modern spaces as well. 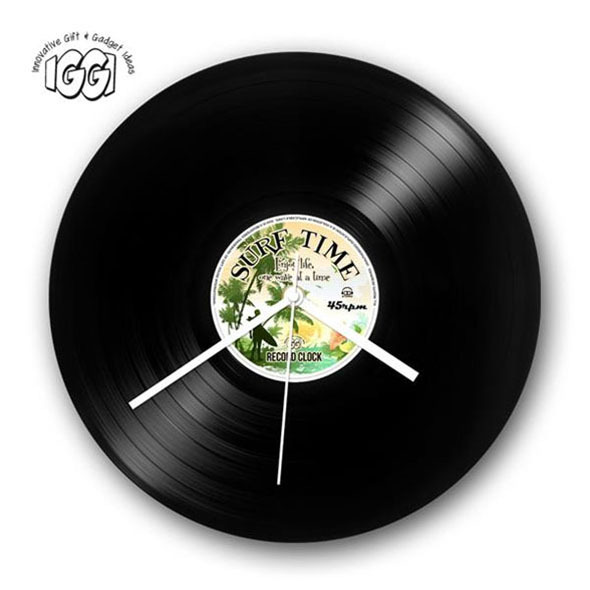 You'll always know when it's time to go surfing...and when it's time to relax with your favourite album!